Tipner bridge near portsmouth you see these monsters as you drive into portsmouth i have been driving past them for nearly 30 years and never been close to them this week it was my turn to do just that... the fence cliams MOD land however careful reseach shows it used to be MOD but is now a scrap yard where these to Giants lay to rot..
well TBF they do look barely used. down inthe plant room and the control cabin have their paint in good order and no sign that its been worn down much. maybe they got a pair for demo/testing, decided they were too much of a pain/would be no use then got rid? bit like them pesky apache gunships! HOW many years have they been 'testing' them now? must be approaching 10? The British built Westland AH1 (WAH-64) Apache Gunships have been in front line service now for a few years and are now replacing the Lynx Gunships. The Lynx AH7 & AH9 Helicopters continue in Service as Support Helicopters without Missile Pods. Even the Euro Fighter (Now called Typhoon) is at long last in service. An idea that long pre-dates that of the Apache. However I can find no reference of the British Armed Forces ever buying, loaning or testing these beasts! The forces do test a shed load of equipment over the years that never see service. It took over 20 years to get the SA80 Assault Rifle right! The location of these is not the old "Pounds" scrap yard? Because if it is they had a deal with the US Army (Europe) in this country to take most of there unwanted vehicles for scrap. A bit of info from my vast collection of military books! The BARC (barge, amphibious, resupply, cargo), later designated as the LARC LX (Lighter, Amphibious, Resupply, Cargo), could carry 60 tons of cargo, and was used to transport wheeled and tracked vehicles, including beach preparation equipment and general cargo from ship to shore or to inland transfer points. It was the only amphibian in the Army inventory capable of landing on a beach through breaking surf. The BARC was deck-loaded on a commercial vessel of heavy lift ship for transport overseas. 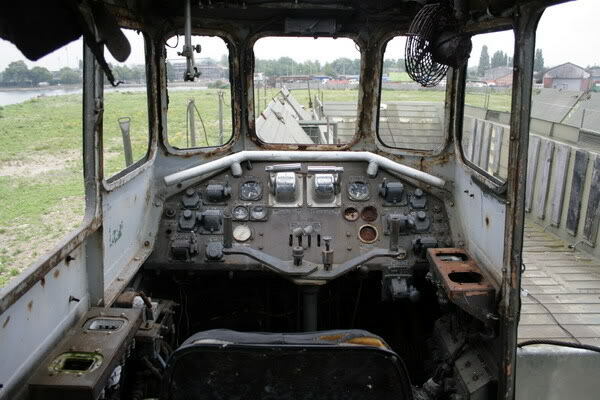 The BARC had the ability to operate on lowstrength soils at a gross weight of 319,000 pounds (120,000-pound pay-load). It was capable of lightering 40-foot containers, which can be discharged from the LARC by crane, narrow straddle carriers, or rollers similar to those used in unloading cargo aircraft. The maiden voyage of the BARC was at Fort Lawton, Washington in 1952. The four experimental BARCs were built by LeTourneau, Inc., which makes equipment much larger then the BARC, including off-shore oil drilling platforms. The BARC was designed to carry a 60-ton tank or fully equipped infantry company from ship to shore or back where there was no fixed port. Its empty weight was 97 1/2 tons. Its four tires were nine-and-a-half feet in diameter. It was 17-and-one-half feet high and powered by four 265 horsepower GMC marine diesel engines. Each engine drove one wheel on land. The two engines on each side of the BARC coupled to drive one of the twin propellers in the water. Top speed was 20 miles an hour on land and seven-and-a-half miles an hour in the water. The name was changed to LARC (Lighter, Amphibious, Resupply, Cargo) in 1960. The LARC-60 transports wheeled and tracked vehicles, including beach preparation equipment and general cargo from ship to shore or to inland transfer points. It is the only amphibian in the Army inventory, and the only vessel capable of landing on a beach through a breaking surf. The LARC-60 can be deck-loaded on a commercial vessel or heavy lift ship for transport overseas. It can be transported on a semi-submersible vessel, in the well deck of an LSD, or aboard a SEABEE. Displacement (weight): 88 LTONs (light). Deck area: 527 square feet. Range: land, 60-ton load, 150 statue miles at 14 MPH; water, 60-ton load, 75 nautical miles at 6 knots. Draft: 7.5 feet (light); 9 feet (loaded). The LARCs didnâ€™t take part in actual operations again until they went to Vietnam to support the 101st Airborne Division in 1967 and later the 1st Cavalry Division in 1968. During July 1968, at Wunder Beach, the barcs were running twenty-four hours a day. The 5th Mechanized Division equipment, jeeps 3/4 and 2 1/2 ton trucks, M113, and M-60 tanks were arriving from the States aboard large ships called Seatrains. The Seatrains would achor close to shore, the barc would pull along side and a M-60 tank or two M-113's would be lowered onto the deck. The barc would make a quick run to the shore, pull upon the beach, drop the barc's ramp and someone would drive the equipment from the barc on to the Republic of Vietnam. Maintenance on the barc was simple, keep the fuel, oil, and air filters clean and the four 761's would run smooth as silk. This was the job the barc's were designed to accomplish and I remember the operation going off like clock work. There was a control tower on the beach that kept an eye on everything and directed everyone to the right places via radio. It was mostly stress free for the operators. 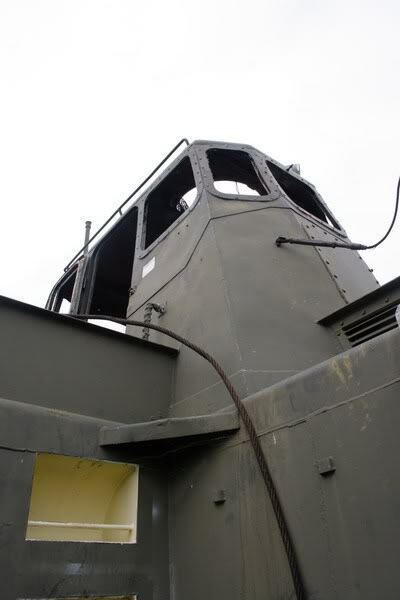 They would engage the marine gear on the barc when the stern touched the water and ease the land transmission out of gear when the wheels no longer touched the shore. Officials of at least two Army activities stated that the LARC-LX had several advantages over the LACV-30 and that it should be considered as an alternative to procurinq a new vessel. The LARC-LX is an amphibious craft, and the Army had 36 of them in 1979. In its technical report number 225, the Army Materiel Systems Analysis Activity stated that despite its shortcomings in speed, the LARC-LX has no major deficiencies and is probably the most versatile lighteraqe vessel in the current inventory. Fuel consumption for its 60-ton cargo capacity is much lower than for the 30-ton LACV-30. For nominal weights, the comparative fuel consumption varies from 38 gallons per hour for the LARC-LX to 260 gallons per hour for the LACV-30. In a June 1978 memorandum, the Army Deputy Chief of Staff for Logistics asked the Army Deputy Chief of Staff for Research and Development if the LARC-LX has been seriously considered as an alternative to the LACV-30. The Deputy Chief of Staff for Logistics stated that the extremely hiqh cost of the LACV-30 and the acceptable performance of the LARC-LX seemed to dictate an objective comparison of cost and capability factors. The memorandum also noted a number of advantages of the LARC-LX over the LACV-30. The LARC-LX had increased load capability. It will carry two militarv vans or one 40-foot commercial container, and also will carry a tank or any general carqo up to 100 tons in a limited overload mode. LACV-30 will not carry 40-foot containers and can carry two military vans only when lightly loaded. The LARC-LX is not affected by minor slopes and surface gradations which cause major steering and maneuverability problems for the LACV-30. The LARC-LX was a proven product. Maintainability and costs to support it are known. The degree of technical expertise of the crew and the amount of time to train operators and mechanics for the LARCLX can be satisfied with the "normal" pipeline soldier. Crew members and mechanics for the LACV-30 were hand picked and do not represent "average" soldiers normally received by the basic unit through current induction and training cycles. The sophistication and high cost of the LACV-30 suggest that some system must be used to hand pick and extensively train crew members. 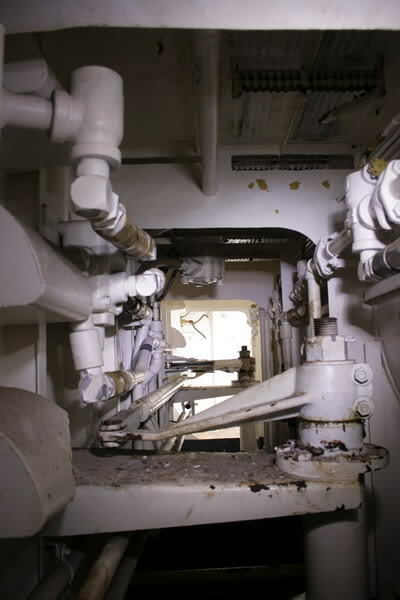 Shop and maintenance support areas were far less than required for the LACV-30. No special hardstand is required as is mandatory for the LACV-30 which literally creates a "sandstorm" when moving across unimproved areas. The four engines in the LARC-LX provide greater reliability than the two engines in the LACV-30. The LARC-60 Maintenance Area at Ft. Story is the maintenance and wash rack area for lighterage amphibious resupply cargo (LARC) vehicles. 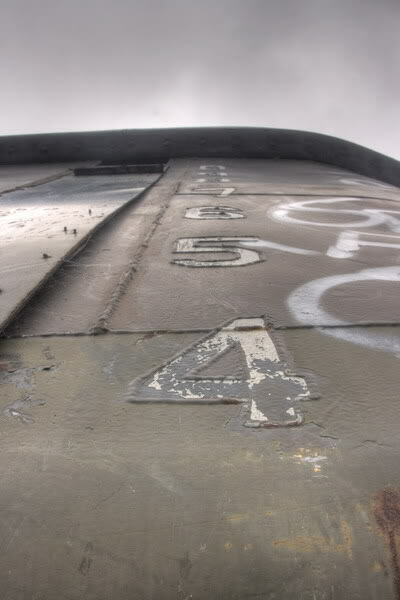 During the 1950s, the area was first used as the barge amphibious re-supply cargo (BARC) motor pool and maintenance facility. In 1964, the BARC was phased out and the LARC was prototyped. In 1982, the LARC-60 facility was modified with the construction of a concrete wash rack pad and surface water drainage control structures. And now they are gone. 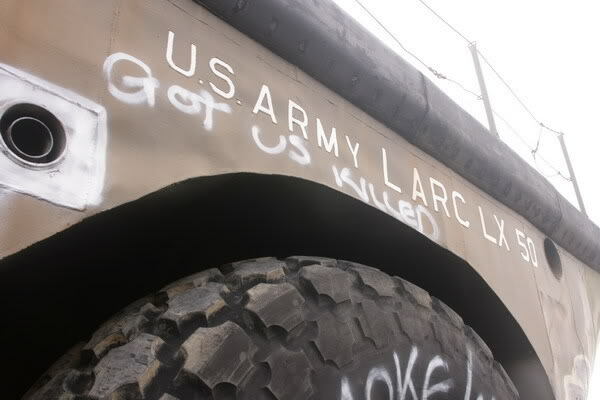 The 309th Transportation (LARC LX) Company, 11th Transportation Battalion, was inactivated on 15 October 2001. 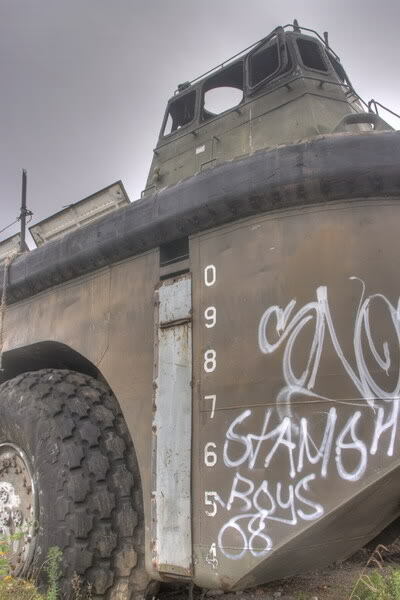 It was the last amphibious Company in the U.S. Army. The army now depends entirely on conventional landing craft. There were 968 units originally built. As best records can indicate, over 600 of them were sunk, just as merely a means of disposal [when the U.S. departed Vietnam in the '70s].